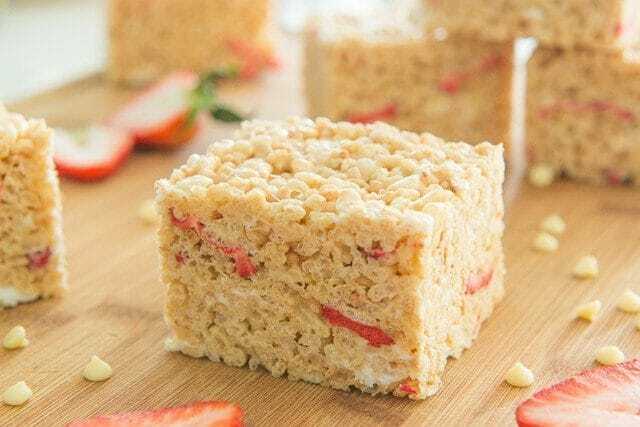 These Strawberry Rice Krispie Treats are a twist on the classic rice krispie treats, and get an upgrade with Strawberries and White Chocolate! These store well and are perfect for bake sales and gifts. 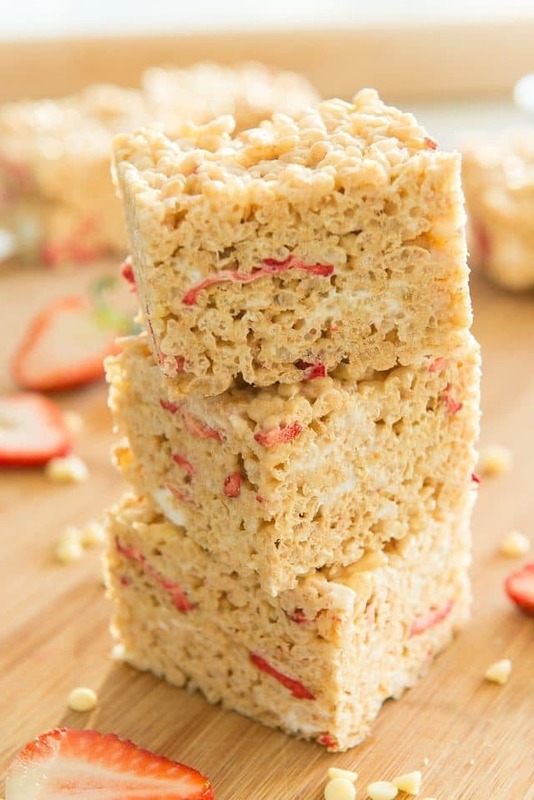 I think I may care about Rice Krispie Treats far more than the average person, but I seriously love them. 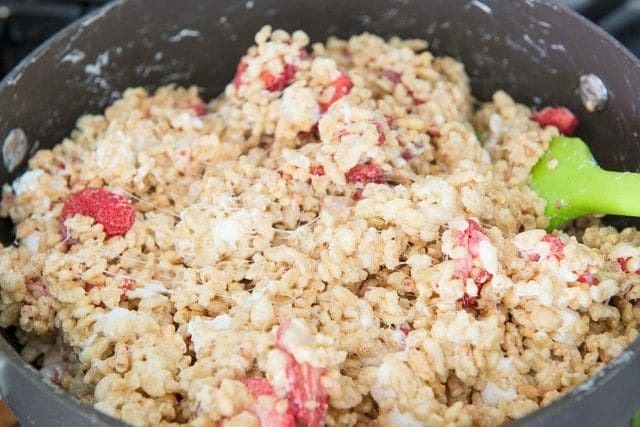 It is an absurdly simple dessert to make, but there’s some kind of magic when you combine marshmallows, crisp rice cereal, and butter. 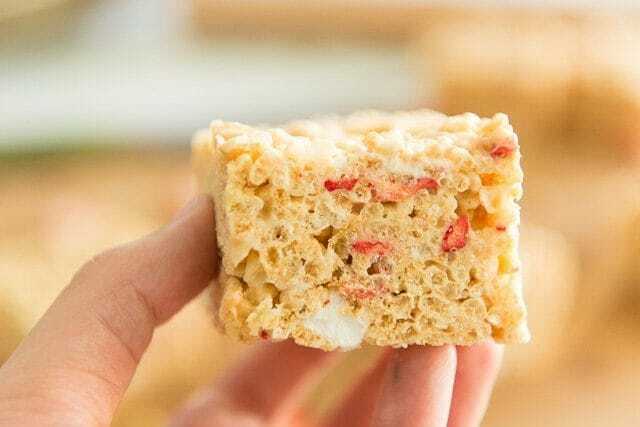 There’s nothing wrong with a classic rice krispie treat made with those three ingredients, but sometimes I like to jazz it up a bit. 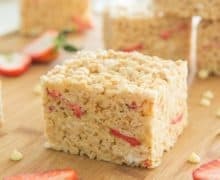 I’ve done Chocolate Peanut Butter Rice Krispie Treats, and now I’m pretty excited about a new version I recently tested, with strawberries and white chocolate. 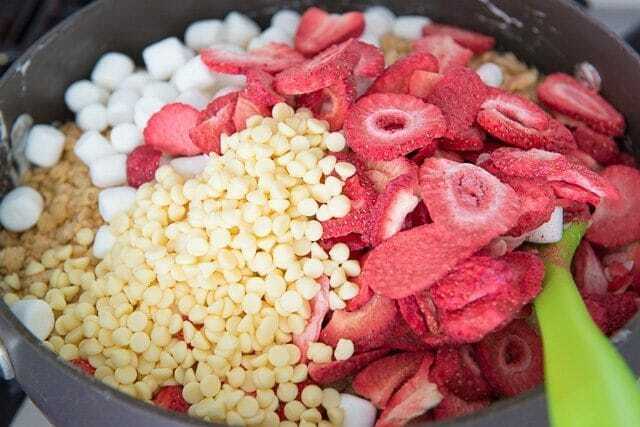 In order to make this treat work, we’re going to use freeze dried strawberries. Adding fresh strawberries wouldn’t work with flavor, texture (soppy mess), or storage, but freeze dried strawberries work wonderfully. If you’ve never had freeze dried fruit, these days it is widely available at grocery stores. Trader Joe’s has a reasonably priced and wide selection of freeze dried fruits (right where the dried fruits and nuts are) that includes strawberries, blueberries, raspberries, mangos, apples, etc. Whole Foods has a big selection too. 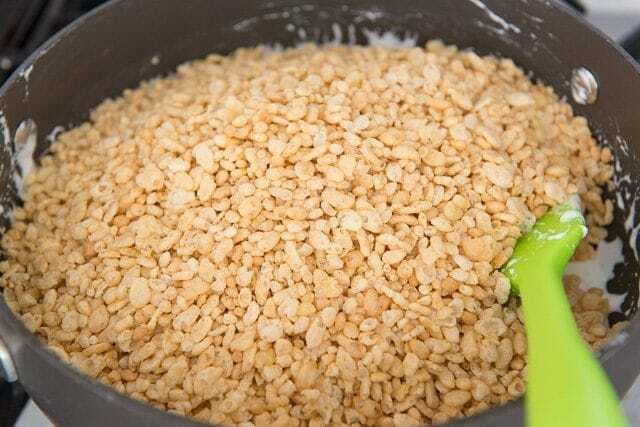 If you taste freeze dried fruit out of the bag, it has a crisp/crunchy texture, which goes perfectly with the crisp rice cereal. Though I find that they soften up a little bit, in a pleasant way, after being mixed with the butter and marshmallow. If you’re looking for fresh strawberry desserts, try these Strawberry Cheesecake Parfaits, Strawberry Fools, or Strawberry Cupcakes. This Strawberry Cream Cheese Pie from Give Recipe also looks gorgeous and delicious. 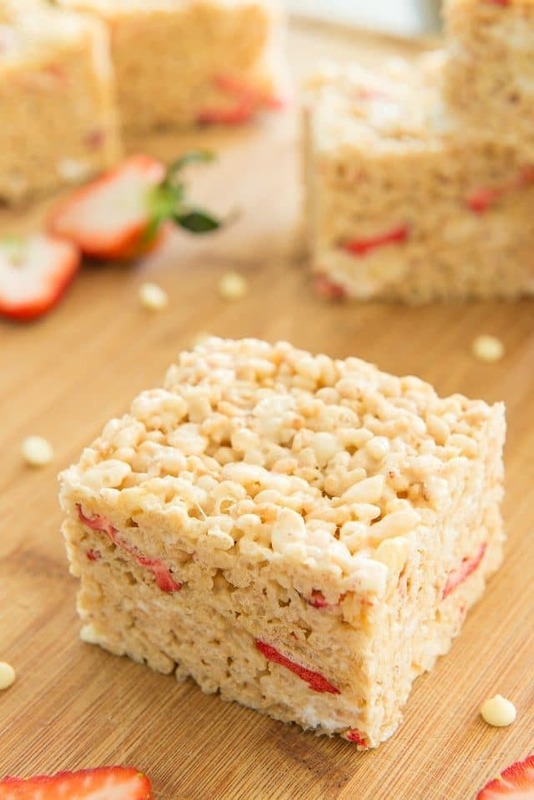 Classic Rice Krispie Treats get an upgrade with Strawberries and White Chocolate! These store well and are perfect for bake sales and gifts. 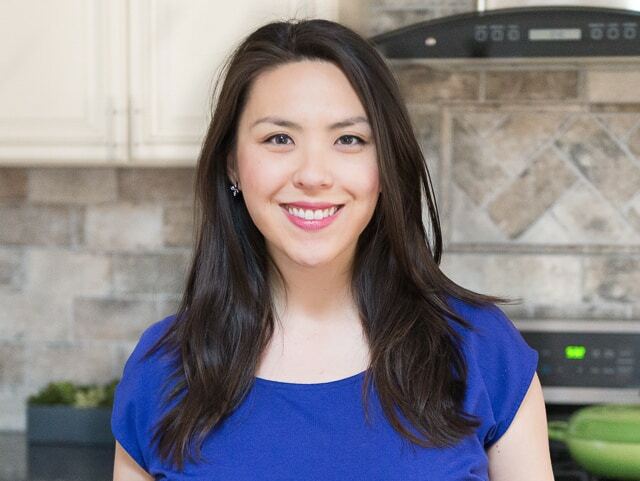 Spray a 8×8 inch foil-lined baking pan with cooking spray. Set aside. 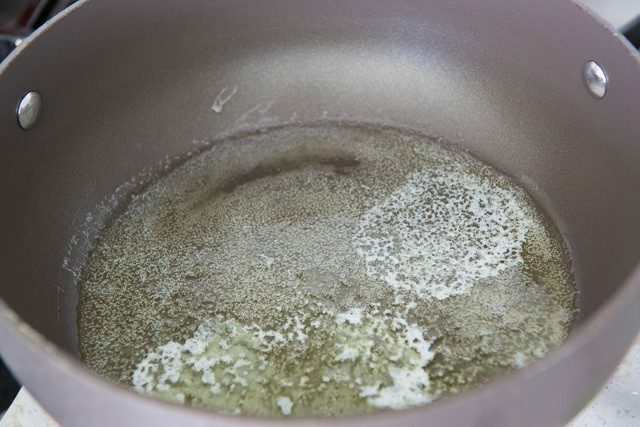 In a large nonstick pot, melt the butter over medium low heat. 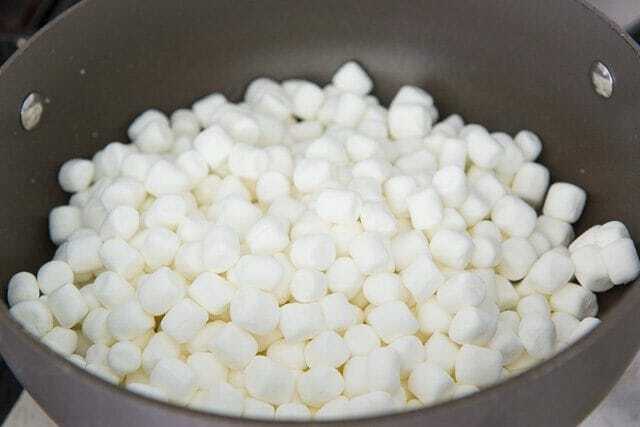 Add the 10-ounce bag of marshmallows, and stir for a few minutes, until melted and smooth. 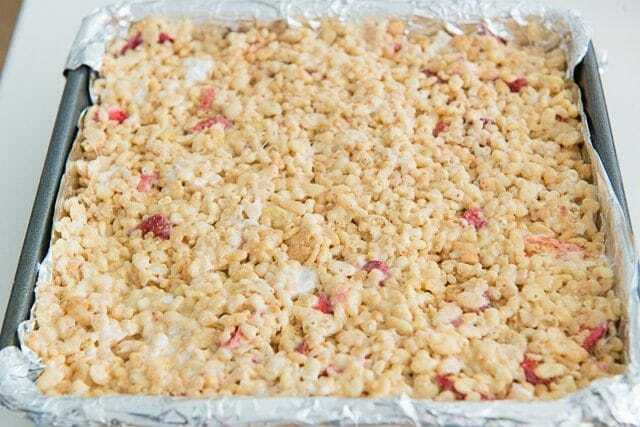 Turn the heat off, then stir in the crisp rice cereal, freeze-dried strawberries, white chocolate chips, and 2 cups of marshmallows. Stir until everything is evenly distributed. 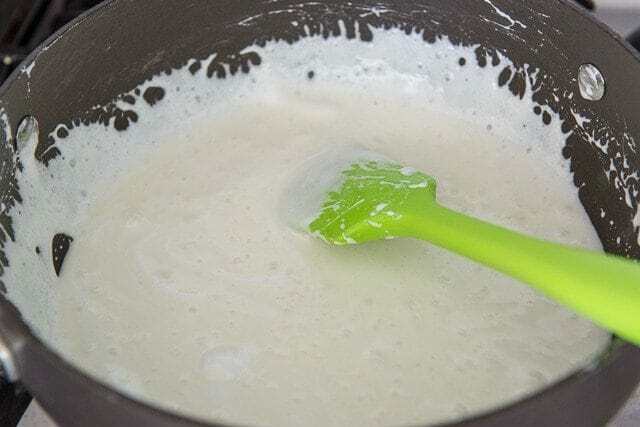 Press the mixture evenly into the prepared pan, and let cool for at least 20 minutes. *I tried using just 10 ounces of marshmallows for this and found it wasn’t enough gooeyness. It’s worth it to add the extra! I used freeze dried strawberries AND bananas…came out pretty good!